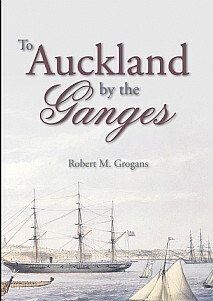 Experience a mid-19th century journey to New Zealand! In 1863 there was only one method of travelling from Britain to the other side of the world by sailing ship, on a journey that could take up to four months, and when the vagaries of wind and weather could put travellers in peril during long voyages. The offer of grants of land in New Zealand was a means of enticing emigrants to the fledgling colony, particularly people who had a skill to offer. One such emigrant was David Buchanan, a journalist and editor of several prominent Scottish newspapers, who opted for a new life in the hope that the health and fortunes of his family would improve. He travelled with his surviving son and three daughters, having lost his wife giving birth to their ninth child. Using his journalistic skills, Buchanan maintained a daily journal of the voyage which was published twice-weekly in his former newspaper, the Glasgow Herald. His account blended accurate details of the vessel and its handling with anecdotal tales and experiences providing interesting snapshots of mid-nineteenth century life. His devotion to detail suggests a passenger's keen eye upon the operation and progress of the vessel by the ship's crew. Of especial interest is the description of daily life aboard a mid-19th century sailing ship, and the interaction between passengers and crew. The clear class distinction between cabin and steerage class passengers, as well as the many pitfalls and potential injuries to passengers and crew that are described make illuminating reading. Upon reaching New Zealand Buchanan and his fellow passengers had stepped into the unrest of the Maori Wars, which were closely reported in British newspapers such as the Glasgow Herald. David Buchanan and his family may have settled and led a prosperous life but whatever befell him, he is due our gratification for providing an interesting and valued account of experiences on a voyage during the dominant era of sailing ships. This vivid description of sea-going life in the 19th century will be of especial appeal to everyone interested in ships, shipping, maritime and social history, and travel. It may well be of particular interest to genealogists and family historians due to the many named persons and passengers that are included.